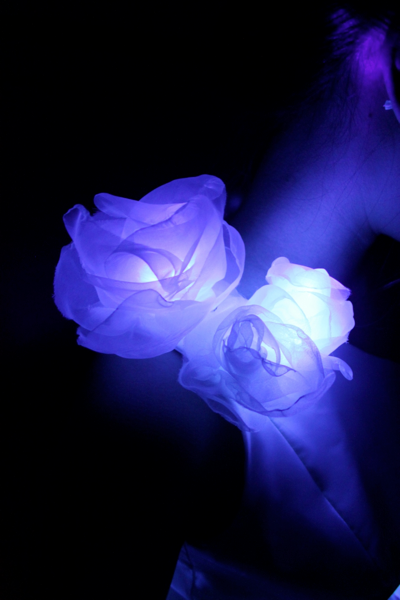 Ravishing Roses LED Dress « Adafruit Industries – Makers, hackers, artists, designers and engineers! Its been a while since I’ve posted, primarily cause I’ve been busy with finals. But in the midst of all that, my girlfriend and I made an LED dress for a fashion show that was at our university. The LEDs weren’t diffused so the light would shine on everything so it really grabbed the attention of everybody. It was run off of a 3.7v LiPo battery (which I clocked in at 4.0v).